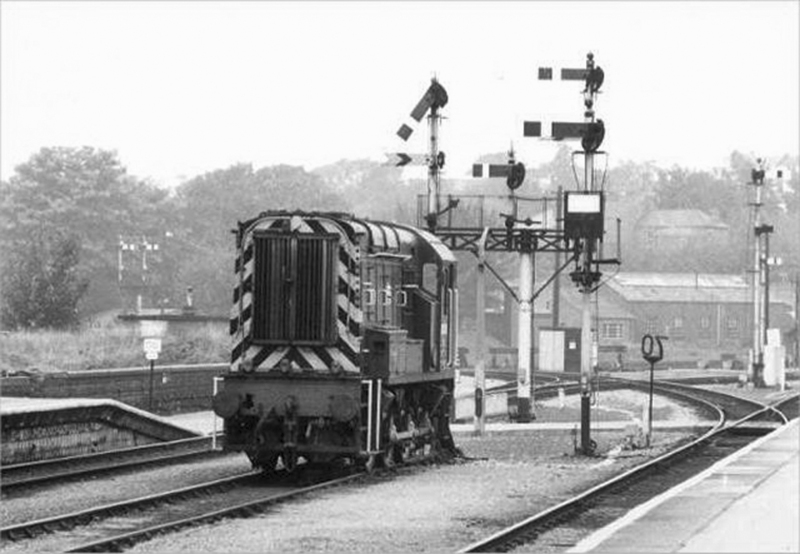 This photograph show the Worcester & Hereford Railway line curving away to the left behind class 08 No.08338 (formerly No.D3408) and the OWWR line to Droitwich Spa goes to the right. The building in the right background is a now demolished part of the locomotive sheds. 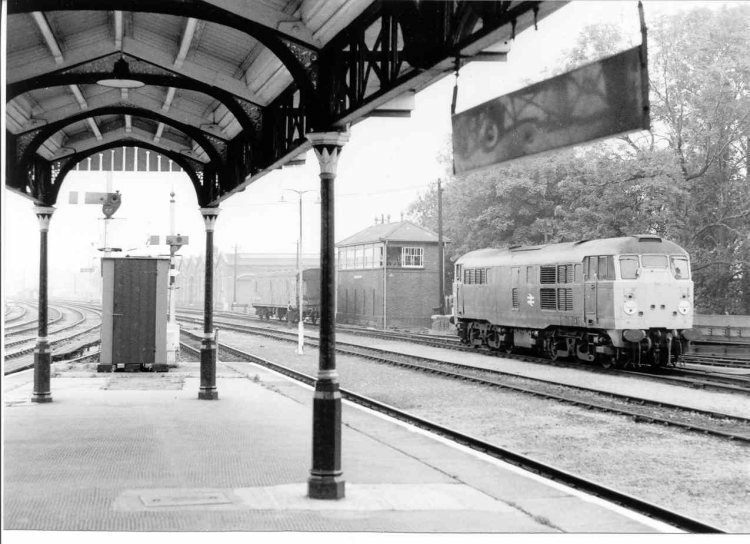 Class 31 diesel locomotive No.31108 was photographed at the western end of the station. Both photographs were taken on 27th September 1983.